If It's Hip, It's Here (Archives): Plastic Fantastic. 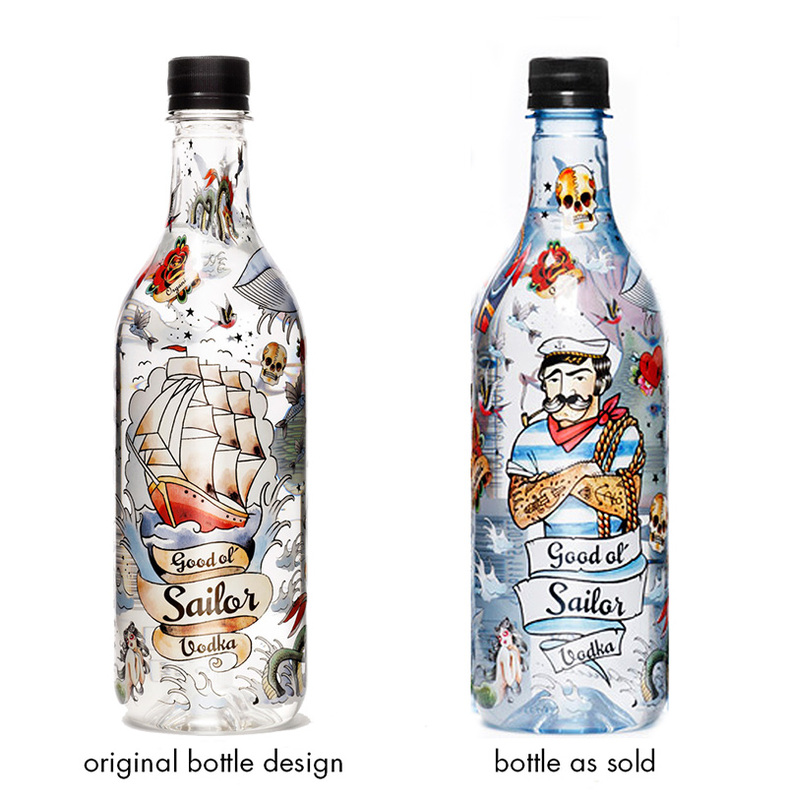 A Look At All Of Good Ol' Sailor Brand's Bottle Designs For Their 3 Vodkas, Beer and Now, Gin. Plastic Fantastic. 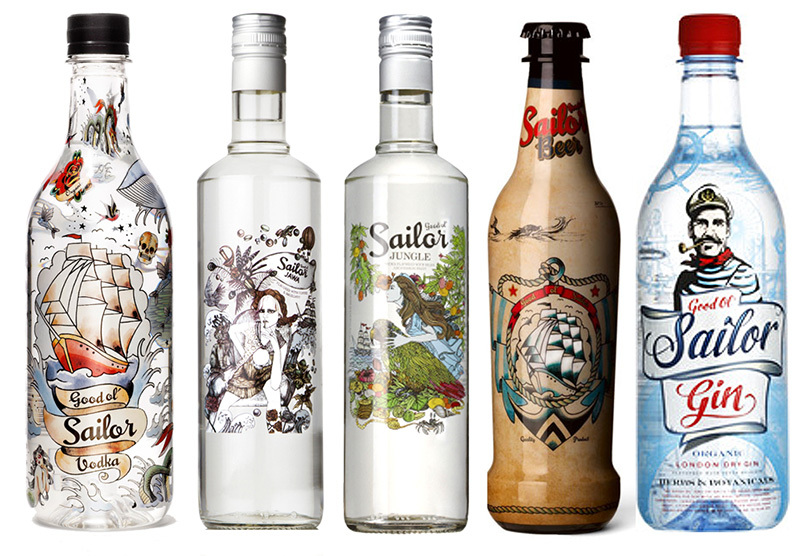 A Look At All Of Good Ol' Sailor Brand's Bottle Designs For Their 3 Vodkas, Beer and Now, Gin. Good ol’ Sailor is Galatea's brand for traditional, organic and innovative vodka, classic beer and - launching this month, Gin. Besides being great-tasting, Sailor Vodka, Beer and Gin add two important dimensions: ecological thinking brought into liquor products, and the way to wrap them in playful, artistic designs by female illustrators, in a male dominated and often conservative niche. Good ol’ Sailor Vodkas are produced in the modern, artisanal distillery of Swedish Vodka in Motala, using the fantastic water of the great lake Vättern. In July of 2012, the original Good ol’ Sailor Vodka was awarded the Silver Medal in the International Wine & Spirits Competition, the world’s largest and most important of its kind. No other product in the tasting category received a higher note from the judges. 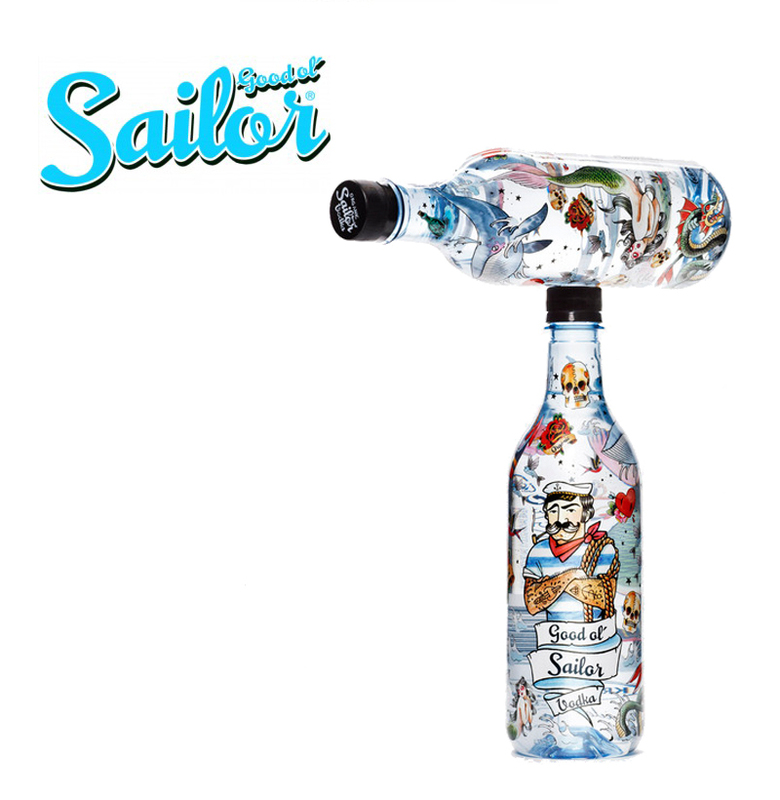 above: The original Good ol Sailor Vodka now has a different image on the front than when first launched. Corresponding to their ecological ingredients the Sailor Vodka, Sailor Beer and Sailor Gin are packaged in PET bottles, a somewhat unusual choice, and an outstanding choice from an environmental point of view. PET bottles imply a reduced environmental impact compared to glass bottles - as much as 58% less energy is being used in the process, and as much as 77% less greenhouse gases are generated. 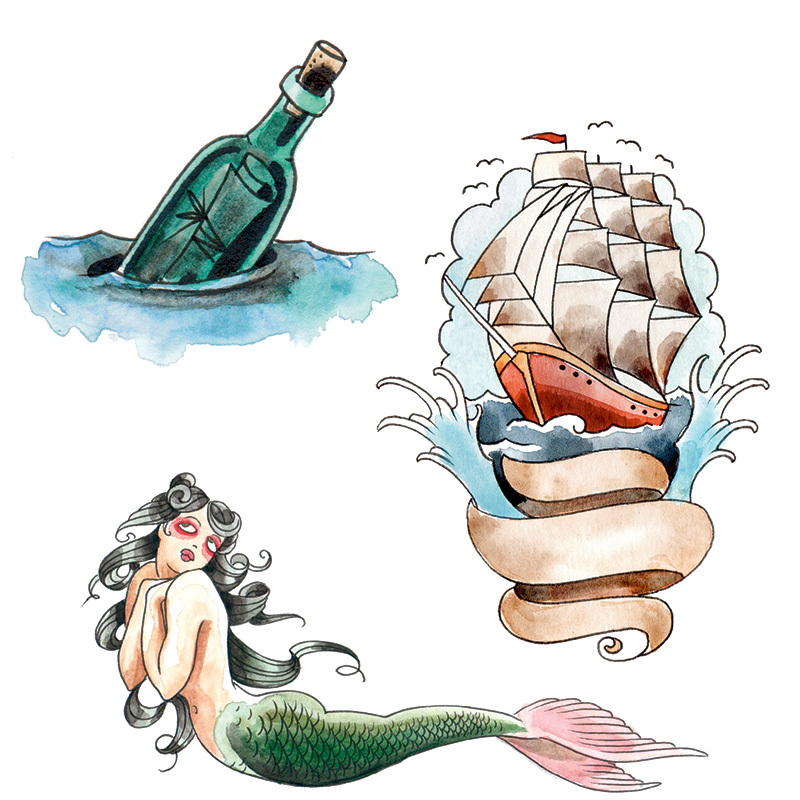 Two upcoming female illustrators – successful within fashion and tattoo art – were challenged to illustrate the traditional theme of vodka and the sailor, and to add new life into the traditional legends, as well as to the Sailor brand. Branding and packaging was done by Entire Studio of Sweden. Sweden’s first PET bottled vodka is made of organically grown Swedish wheat and comes in a Swedish made PET bottle for minimal environmental impact. The design of the bottle is developed in cooperation with Aniela, one of Sweden’s top tattoo artists. To be served chilled as schnapps or used as a cocktail ingredient. The bottle is recyclable. 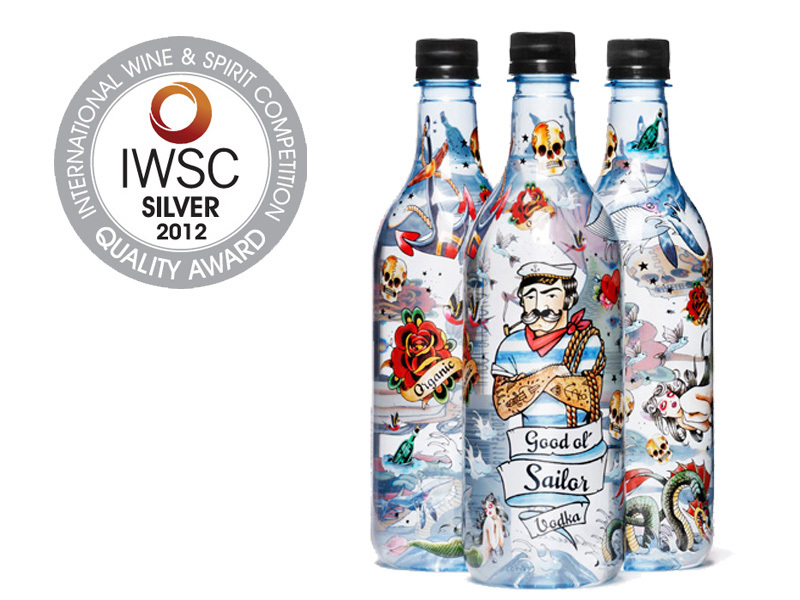 In July of 2012 Good ol’ Sailor Vodka was most successfully awarded with Silver Medal in the International Wine & Spirits Competition, the world’s largest and most important of its kind. No other product in the tasting category received a higher note from the judges. Good ol’ Sailor Vodka is distilled four times and has a pure aroma with hints of wheat bread, white pepper and citrus. The flavour is soft with notes of wheat, citrus and cardamom. 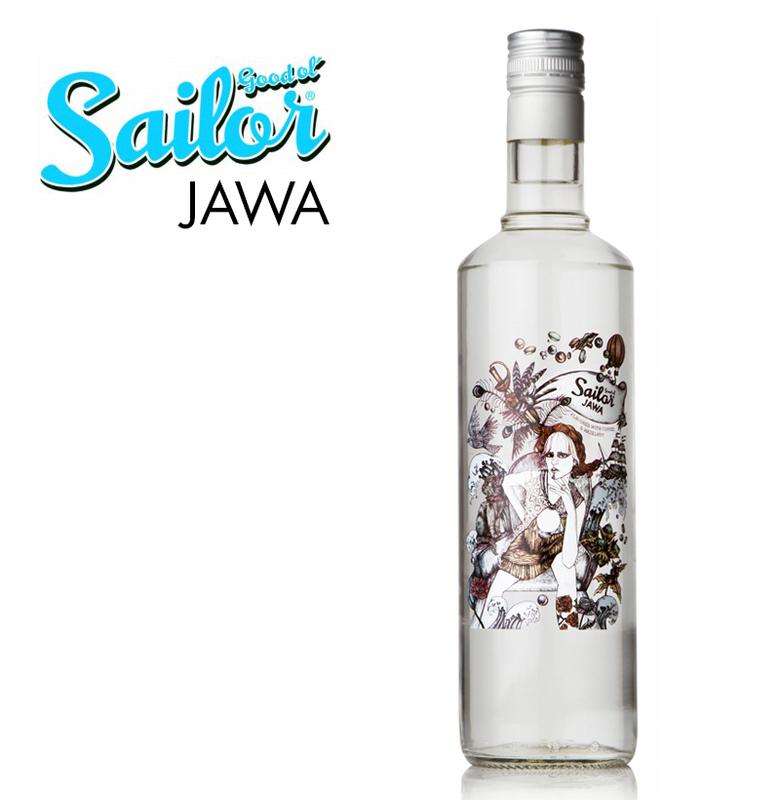 Good ol’ Sailor Jawa is the 2011 limited continuation of Good ol’ Sailor Vodka. The Jawa first launch of 5000 bottles sold out at Galatea in a very short time. Jawa comes in a new design cooperation, this time with fashion illustrator Lindalovisa Fernqvist. Her interpretation of Good ol’ Sailor Jawa derives from a modern pirate figure, a tough woman who steeres her own ship on the seven seas and finds her own treasures. The label radiates integrity and strength with a playful twist. The taste of the coffee inspired vodka is sensed already in the picture. 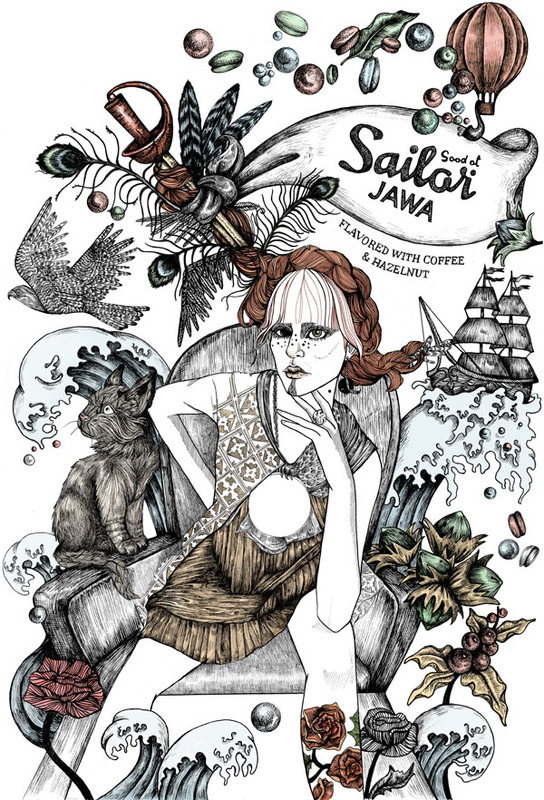 Good ol’ Sailor Jawa is produced from the ecological vodka Good ol’ Sailor and contains spices from the equatorial areas, such as coffee, vanilla and nuts. Distilled four times Good ol’ Sailor Jawa has a pure aroma with hints of coffee, vanilla and nuts. The flavour is soft with notes of wheat, coffee, vanilla and nuts. 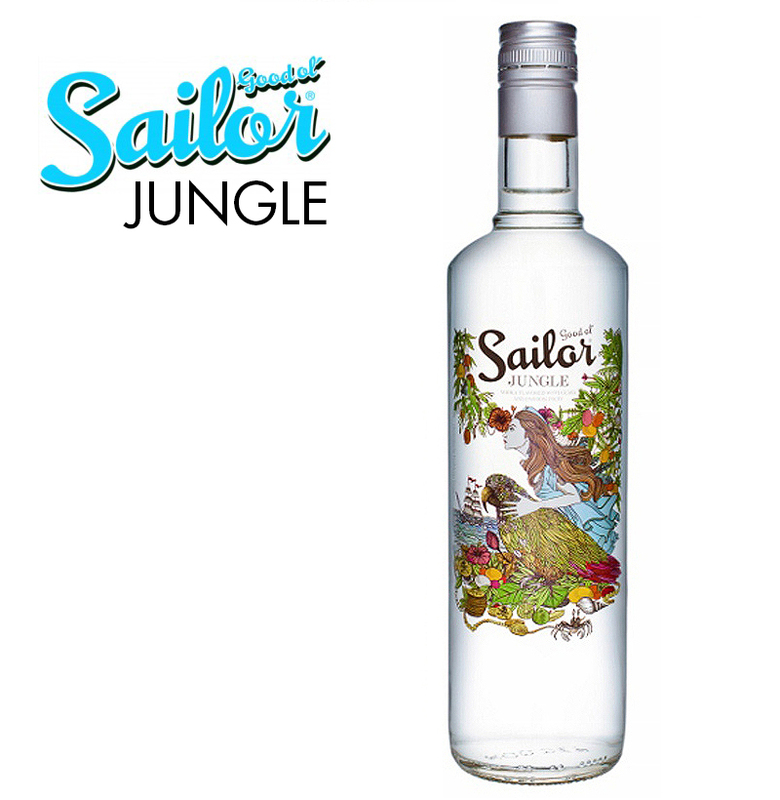 The Good ol’ Sailor Jungle is the summer version of the ecological vodka family, with a taste of guava and passion fruit. 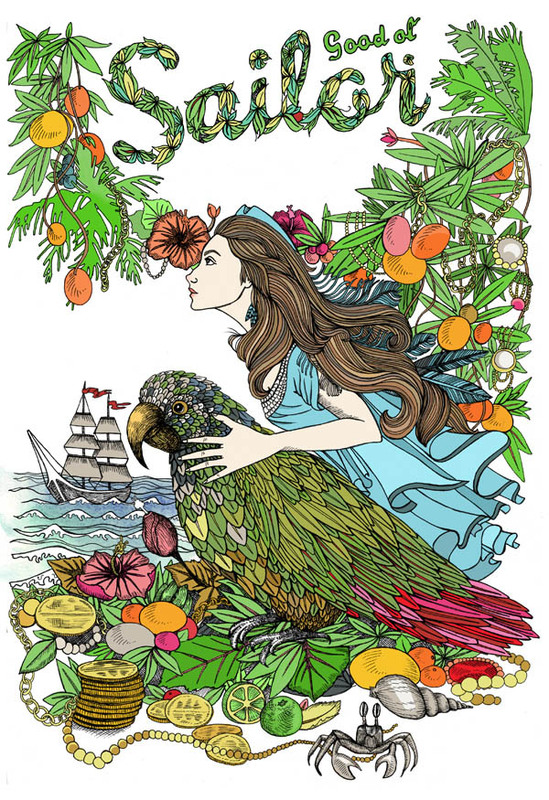 Just like with the success Good ol’ Sailor Jawa it is Lindalovisa Fernqvist who has created the original design on the bottle portraying a strong woman in a dreamy, tropical world of pirates. The organic Good ol’ Sailor Jungle is a classical combination of fruity, fresh and sour, even before the drink is mixed. It is a modern liquor where the parts are right from the start, which makes it easier for the consumer and gives a better result when mixing drinks, says Sören Sörensen, product developer for Sailor Vodka. Jungle has a clean, fruity taste of passion fruit and guava, freshness of citrus and a pleasant rigor of pink grapefruit. A bottle with tattoo illustrations from ancient times when sea monsters raged the oceans and tattoos were for beefy sailors with a beard. With this feeling as a starting point we are bringing new life into the legendary brand Good ol’ Sailor Beer. “Sailor” is now more accessible than ever, thanks to the choice of packaging. The PET bottle is itself a brilliant thing when it comes to beer. You can bring it anywhere. 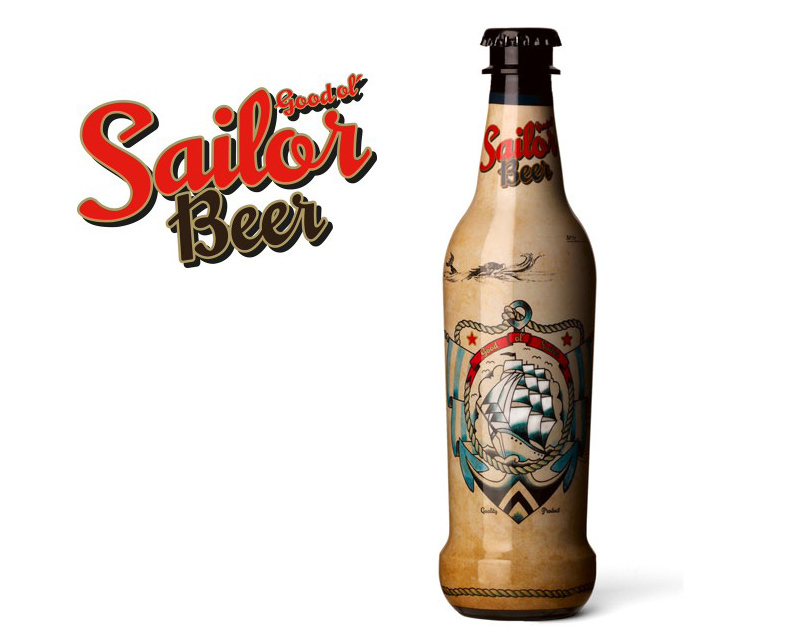 Good ol’ Sailor Beer is extra suitable for the summer events or picnics. A light malty aroma with a touch of citrus. Fine, fruity flavour with streaks of citrus and malt. Well balanced, slightly bitter with an aromatic finish. 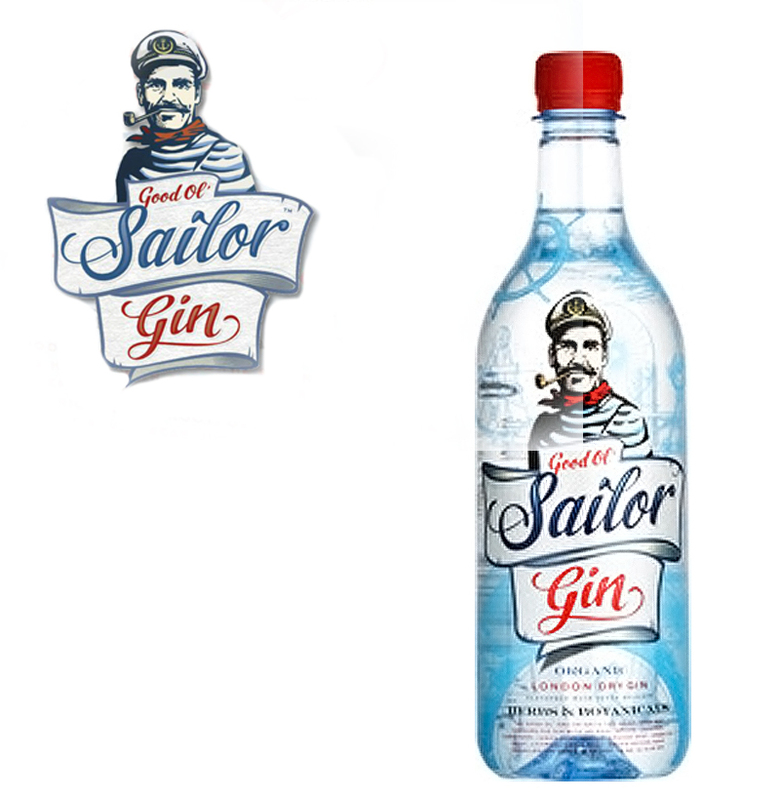 After the highly successful series of Good ol 'Sailor spirits, they've expanded to include a gin this month. After three vodkas, IWSC medal winners, Galatea's team has developed a gin with the same high level of originality. Distilled with high quality organic grain, it's also packaged in environmentally friendly PET packaging and is a London Dry Gin flavored with juniper and six herbs and spices. Good ol 'Sailor Gin combines the natural raw taste of alcohol with a well balanced juniper and clear fresh tones of citrus and orange. In addition to the seven classic spices consisting of juniper, licorice root, angelica, orrisrot, coriander, and lemon peel-sevilla, the Good ol 'Sailor Gin is also enriched with a secret spice. The elegant element of exotic spiciness makes Good ol 'Sailor to a gin for connoisseurs. Good ol Sailor brand beverages are carried at all of Sweden's Systembolaget stores. Hello!! I'm the new user on this blog.I just say about this simply awesome great creativity.I appreciated your work really! !I want a Good ol' Sailor Gin.Please give me. Give me that Jungle, awesome work!